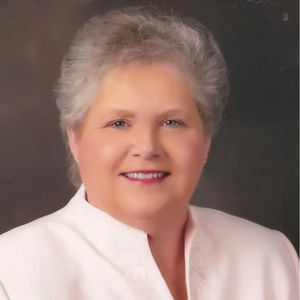 CENTRAL CITY – Regina Mae "Judy" Mize, 63, of Central City, went home to be with our Lord and Savior on Wednesday, March 11, 2015. She was born April 3, 1951, in Greenville. She was a homemaker and a faithful member of Temple Baptist Church. She loved working in her flower gardens, cooking, and spending time with her family. She is survived by her husband of 44 years, Ronnie Mize; two daughters, Tanya (D.D.) Sparks of Central City and Crystal (Doug) Bush of Bremen; one granddaughter, her pride and joy, Raley Chadwick of Central City; two brothers, John Tinsley of Greenville and Joe Tinsley of Nashville, TN; and two sisters, Vivian (Jerry) Steele of Clarksville, TN and Opeline Carver of Beechmont. Funeral services will be held on Monday, March 16, 2015, at 11:00AM at Tucker Funeral Home in Central City. Visitation will be Sunday after 5:00PM at the funeral home. Burial will be in Rose Hill Cemetery in Central City. Online condolences may be made at www.tuckerfuneralhomes.com. The beautiful and interactive Eternal Tribute tells Regina's life story the way it deserves to be told in words, pictures and video. Sorry to hear of the passing of Judy. May the Lord bless you with comfort, peace, and strength in the coming days. So sorry we were unable to attend visitation or the funeral. We send our condolences and prayers your way through the Lord our God. May God bless and comfort through this time of loss for you and yours. On behalf of all of the staff at the Heartford House (Hospice of Western KY) in Owensboro KY, we would like to leave our sincere condolences to you and your family. I know this has been a difficult time, but I also know that God sends great comfort. It has been my pleasure to serve you and your family during this time and we are here for you in the road ahead. And I am glad that I have gotten to know each of you. The Bible in the book of Romans says to rejoice with them that rejoice and to mourn with those that mourn. I know that heaven gained another angel that day and she will be missed by many. So sorry to read of Judy's passing. It's been a long time since Cleaton Church. May God bless and comfort you and rest of your family. Brenda and I are in Florida and were so shocked to read of Judy's passing. She always had a beautiful smile and was so caring and pleasant. We know that you and the girls will miss her, but we pray that God's love and strength will sustain your every need. God bless. Please know that I am praying for all of you during this time of grief. We don't grieve because there is no hope, but because your loved one will be greatly missed. The Bible is so true and God is so faithful because it says "Absent from this body, present with the Lord". I cherish the moments I had with you and saw great faith and love for the Lord Jesus Christ. You will see her again one day! God bless the entire family. Ronnie, I am so sorry for your loss. I know it will be a long road for you but just know that people do care and are praying for you and your family. Ronnie, sorry for your loss.